Recycle your wood with Community Wood Recycling, save money and help the environment! Need wood for DIY projects? Want to buy unique, environmentally-friendly timber and furniture? If you believe in what we do, or you want to build your skills and confidence, come and join us! Find your nearest enterprise to discover their range of DIY materials, handmade furniture, and more. 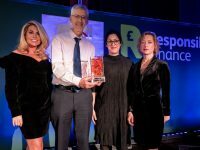 We were delighted to attend the NatWest SE100 awards last night, and find out that we made it onto the SE100 index of the country's top 100 social enterprises. Basildon-based newcomers to the network New Life Wood held their launch event on Saturday 23rd March 2019. 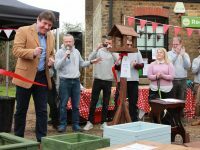 Local MP Stephen Metcalfe along to cut the ribbon and around 100 people came down to see what was on offer and meet the amazing New Life Wood volunteers and Trustees. 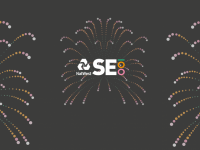 We're delighted to have been shortlisted for the NatWest SE100 Social Business Awards, in the Resilience category. After celebrating 20 years of wood recycling last year, it's a lovely recognition of the achievements of the network. 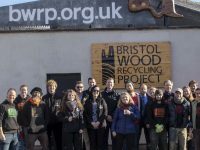 Bristol Wood Recycling Project has raised the funds it needs to buy its new premises, hitting its £430,000 target in just a fortnight. We are currently working with projects in Ashford (Kent) and Southend to set up new member enterprises which are scheduled to start trading before April 2019. We are now targeting Liverpool as the last major conurbation without a network member and we’re looking for someone to work with us in the city. We anticipate that this activity will take up all our available resources for the year, but if you would like to set up a project to start trading in the 2019/20 financial year, you can find out what’s involved here, and then contact us.